Allaso Ranch will be an incredible catalyst for your Junior High Student to become more independent and understand their identity in Christ. Our counselors and staff are here to partner with you in a program designed to build your student’s confidence by helping them be the unique and incredible person God has made them to be. Each week is packed with team-building activities, and tons of fun and exciting games that build stronger friendships and allow campers to have competitive and sometimes messy fun. 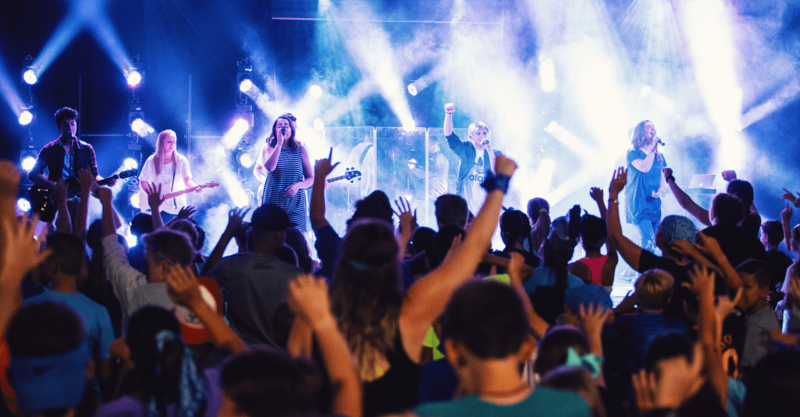 Every evening is filled with energetic worship, relevant ideas, and learning experiences to help campers connect with God and leave with skills that will deepen their relationship with Him. Register for Summer Camp 2019 now with the early registration rate of $899 A $200 non-refundable deposit is required. Camp tuition is for one week of camp, and includes all activities, meals and lodging. Multiple child discounts are available. Receive $100 off the 2nd child, and $150 off the 3rd and any additional child in the same family. The discount will be applied when registration is completed. If you have any questions, please email us at [email protected]. At Allaso Ranch, your camper is our number one priority. From meals to lodging, friends to fun, we have thought through every detail to make their week of camp the best that it can be. And as a parent, you can be confident that we will take care of your child with love and excellence. Our counselors, staff and volunteers are highly screened, fully trained, and kid friendly. Your child will grow friendships with other campers and their counselors in a safe and fun setting designed for spiritual and personal growth. Access valuable resources before, during and after camp. Use your Parent Login to complete your camper’s heath form, make payments, and even monitor spending at the camp store. Fill out the online health form early. Be sure to have your camper’s doctor information, and medical and immunization histories on hand. Save time and money by purchasing your Camper Care Kit when you register online. Personalized to your camper’s team colors, this is an excellent value that includes a special Allaso t-shirt, water bottle, flashlight, sling backpack and more. Stay connected by emailing your camper and viewing pictures that are captured while they are here at Allaso. Use your Parent Login and take a look at the online features. Plan and pack together with your camper. Label everything possible that your camper is bringing. Every summer the lives of students are changed and challenged by our fun-filled, action-packed week. Camp also profoundly impacts the lives of the people who willingly give of their time to invest in the next generation. As you are making your summer plans, make room on your calendar for an awesome week of camp at Allaso Ranch. Volunteering at Allaso Ranch is not just about helping others or accomplishing a task. Serving others is a special part of growing your relationship with God. Whether it’s as a camp counselor or behind the scenes, there are many areas at Allaso Ranch where you can make a difference. You need only a smile and a desire to serve the next generation.